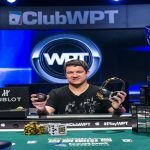 Daniel Strelitz, a pro poker player has won world poker tour’s L.A Poker Classic of buy-in $10,000 championship and pocketed an amount of over $1 Million from the same. This was the Season XV of World Poker Tour L.A. Poker took place at Commerce Casino. 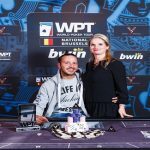 Total entries for this tournament was 521 players, but it was Strelitz did the job ultimately and collected the first prize of the game. 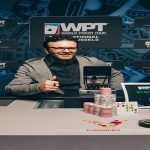 By winning this tournament Daniel Strelitz has also got an automatic entry to prestigious $15,000 world poker tour tournament of champions. 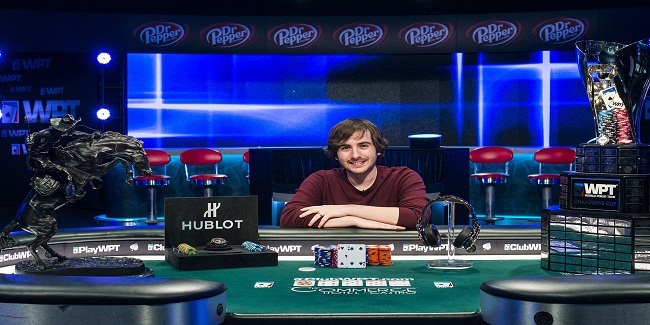 Simeon Naydenov becomes runner-up of this event, who got an amount of $672,190 being at second place, whereas third place of this match belongs to a pro named Jared Griener, who pocketed $431,340 from the tournament. Strelitz is a 27 year old professional poker player, who lives in Orange, CA and loves to play poker. It was a great day for the winner. “it’s incredible” Strelitz said after winning this prestigious tournament against so many better players. He said it feels great when you do or achieve things like that against best of the people. This is high time for me. I always wanted to do moreand to win the title and I’m happy that I’ve done this, he added. The game lasted for five days. Nick Maimone was the chip leader after two day of game, but he couldn’t keep the momentum up till day three. Total 45 players remained in business on Day 3, while the number was down to 18 on day 4. Total number of players remained in game on Day five were 6 only. Top six players or final tablists of the game were Simeon Naydenov, Jared Griener, Mike Sexton, Richard Tuhrim and Daniel Strelitz. Richard Tuhrim was the one who busted at first. 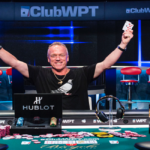 He hit the rail earlier in the play and busted to sixth place for an amount of $191,490.